Most of the people are very food-lovers. They want to try new dishes the most often, especially in India. Homemakers want to prepare new dishes for their families, friends or relatives. While preparing a dish, everyone knows that there are some basic ingredients used. Some ingredients are a must to have in kitchens. Every cook needs a well-organized and stocked spice cabinet, irrespective of culinary expertise. 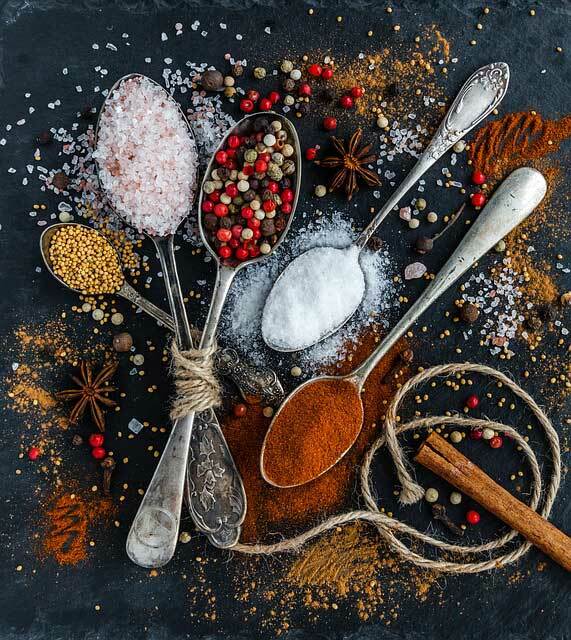 Spices are the major essentialities of the kitchen, as they are full of essential oils and aromas that enhance the taste and deliciousness of foods. Spices can be crushed into a powder form. Some spices are used in their original form, depending on the type of the dish, you are going to prepare. Two types of cardamom are used in the Indian cooking, black and green. Black cardamom is very powerful and also smoky, which can be used in dishes while serving. While on the other hand, green cardamom can be used to make garam masala. It can also be used in desserts or sweets. It is exactly native to India. It is a hard spice to grow, depending on many natural cycles. It needs to be toasted prior to blending. You can use fresh black pepper directly into dishes for the excellent flavor. SPICE UP YOUR LIFE WITH DIFFERENT SPICES IN THIS WINTER AND NEW YEAR! Its anise notes are simply identifiable in numerous Indianpreparations. Cloves has a strong and medicinal flavor that comes from the essential oil concentration. Act as technicallyflowers; they are used in cooking to prepare spice mixes. It is the most often used spice. Cumin seed adds a characteristic smoky note to dishes. It also gives the intense flavor. It has unique ridged brown seeds that can be easily identifiable. These spices are the most favorite among many cooks. Mace is the outer covering of the nutmeg that is dark red in color. When it comes to fresh nutmeg, it is processed by eliminating the pulpy outside and skimming off the mace. WHY THE HERBS AND SPICES ARE POWERFUL TOOLS FOR THE HEALTH? These seeds are earthy, characteristic, musky curry fragrance and flavor. Fenugreek seeds are yellowish in color and have tiny wheat kernels. They are strongly fragranced. They should be utilized with caution. It is another common spice in the Indian cooking. Turmeric is grown as a rhizome. You can use it dried or fresh. It has many health benefits. The fresh turmeric has a stronger flavor than dried. Other common spices are bay leaves, mustard seeds, coriander, cinnamon and a lot more.